All of the scores I transcribe are freely downloadable on my website for educational and non-profit use, including the instrumental part scores, with which performers and orchestras can put on performances of these magnificent video game works that deserve far more recognition in the concert scene. The 700+ sound effects I have currently uploaded for free use on "Freesound" have been used in thousands of projects worldwide, helping students and professionals alike in fulfilling their artistic visions and completing their projects. Similarly, as a voluntary moderator of "Freesound", I aid in moderating the hundreds of new sound effects that are uploaded to the site every day. Where does your pledge go? 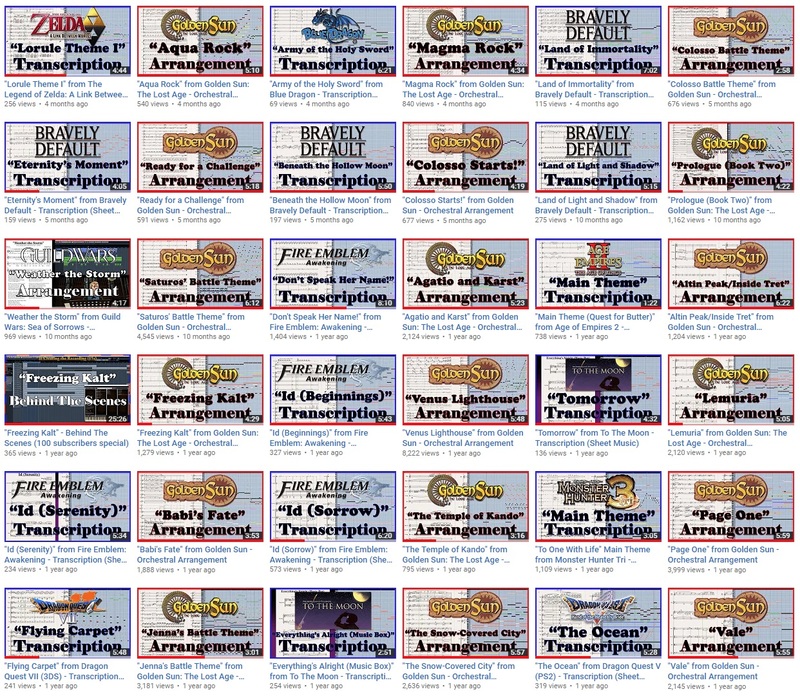 As a special thank you, all of my Patron tiers offer access to the dynamically expanding "InspectorJ's Expanding Library" - a royalty-free sound effects library with a new sound added every Sund- ... uh... every "Sounday"! As well as a range of other benefits! Thank you eternally for your support! The dynamic "InspectorJ's Expanding Library" with 1 new royalty-free sound effect added every week for as long as you are a patron! You will also get to vote in future polls to decide upcoming content! When we reach 50 patrons, I will create instrumental part scores for all of my arrangements from my YouTube channel "TandA". These will be free for anyone to download and use! I'll also look into live-streaming some of the process!